Phishing has gone another level. Oh wow. If I am not careful, I will also fall for this. Look carefully how the how sneaky they hide the domain name in the URL. Life has been really busy for me and I continued to work hard but then I have been getting a bit lazy. Ever since I have settled down my job, I tried to nudge but with all my busy schedule on my usual sports regime. I started moving away from my blog. I got to know someone as well in April and my time for the personal projects has shortened. Ever since I went on neglecting my personal work until one fine day I bumped into this video by TechLead. Watching his videos gave me so much inspiration and motivation to continue where I have stopped. I would strongly recommend to anyone who needs inspiration and lives your life to the fullest! 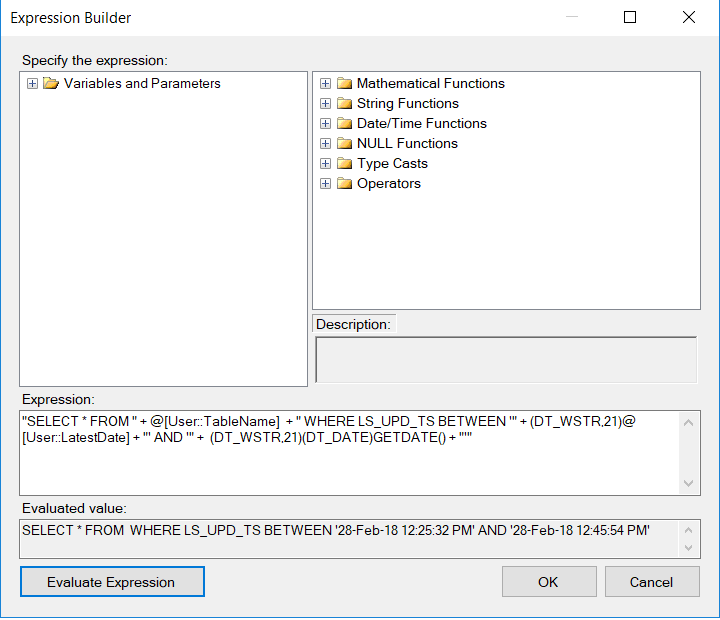 One day I had a problem encountering some problem within SSIS using Datetime conversion especially when passing parameters from one flow to another. It ran fine on my Evaluate Expression but when I ran my SSIS it came out this problem. Error: The data types "DT_WSTR" and "DT_DATE" are incompatible for binary operator "+". The operand types could not be implicitly cast into compatible types for the operation. To perform this operation, one or both operands need to be explicitly cast with a cast operator. What I did is to change my length to 50 and my variable to pass in as DateTime and everything ran successful. 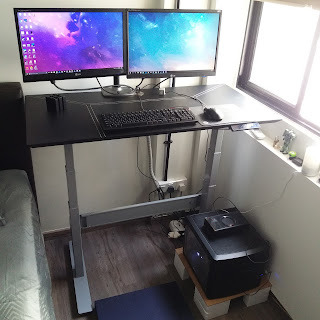 My Dream Desk Setup for 2018! Today is Chinese New Year Eve, I decided to tidy up my desk which I usually work most of my personal projects. 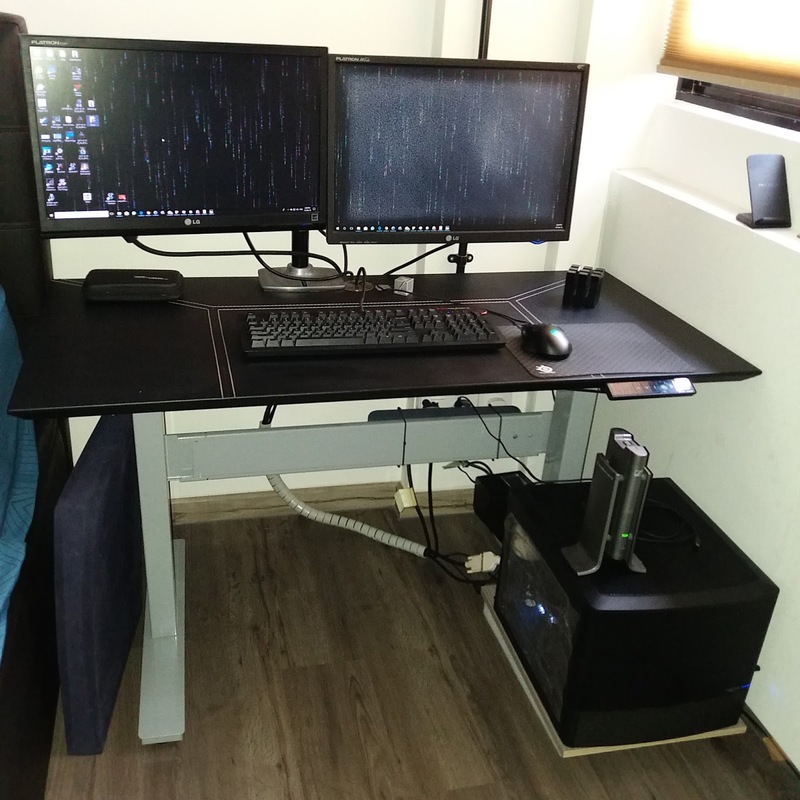 My dream desk setup is pretty simple. 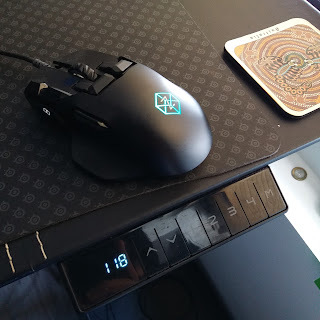 I want to keep it simple ergonomic and fun to stay long enough for me to enjoy my stuff. 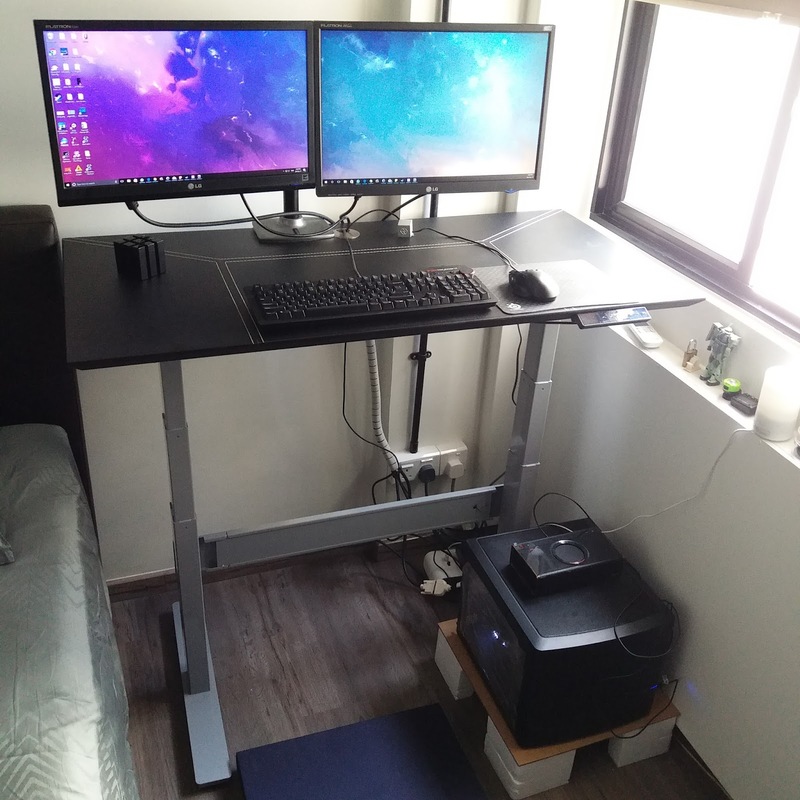 So I bought my ultimate ergonomic desk the moment I move into my new place. Everything looks great but... 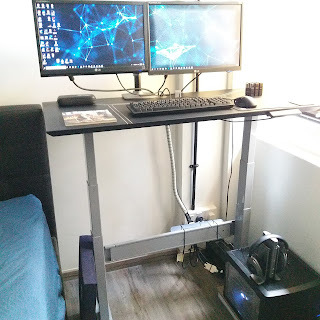 I was having some problem with the cable management problem. Cables are so messy and my vacuum robot has some issue entering this area. I was afraid that my vacuum robot might tangle the wire one day, I decided to do something about it. So there are 2 problems here. - Messy cables lying around. 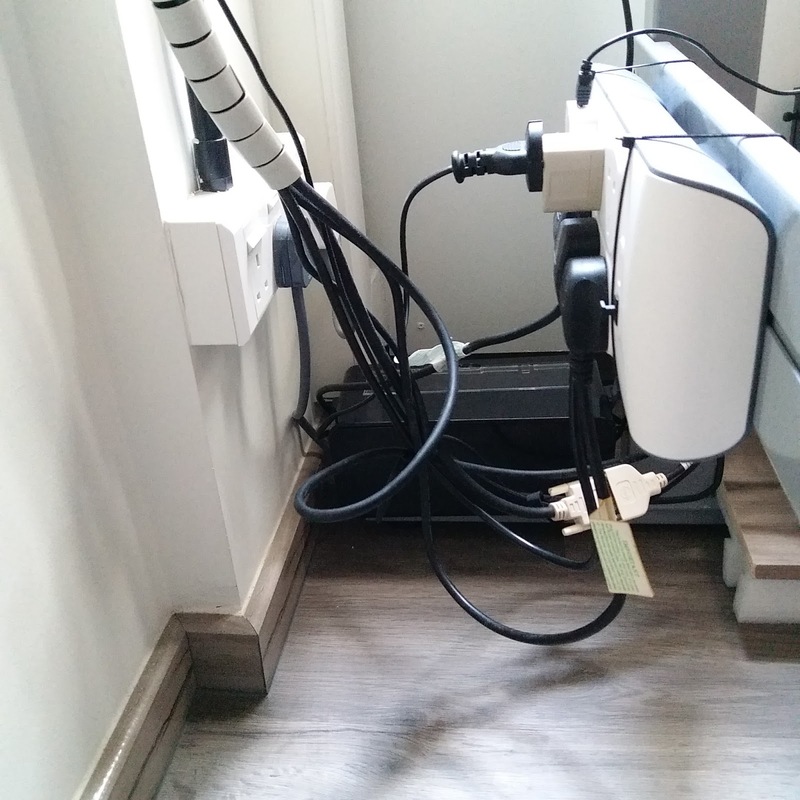 - The Belkin surge protectors Power Strip that I bought took up that much space. 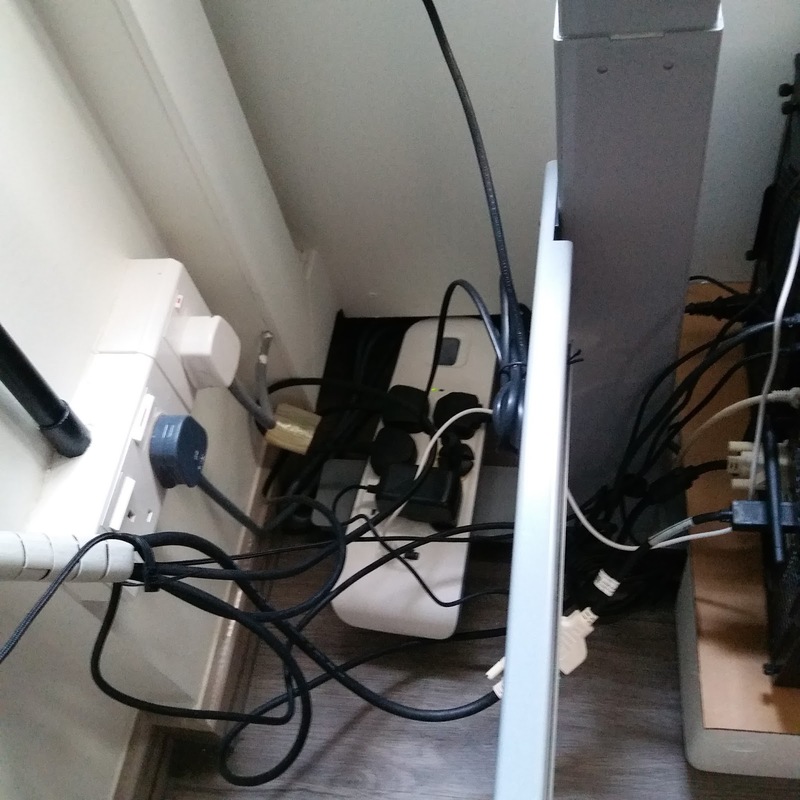 So I went online bought cable management, cable box, and cables ties to organize the cables. Here you can see that I use my cable ties to tie up the power strip against the desk so that it won't take up space on the floor which makes it perfect for my vacuum robot to pass through the area. For those remaining long cables will be stored in the cable management box. 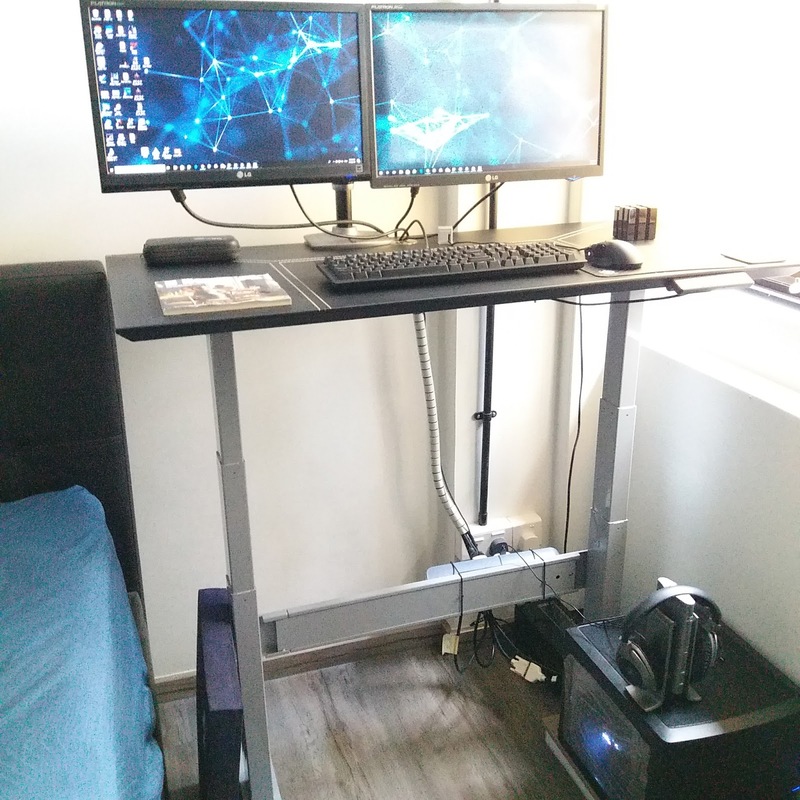 One of the main reason I got this desk is that I can use it as a standing desk most of the time. It has 4 memory storage so that you do not have to figure out what was your configuration for sitting and standing height. You can't get better than this. Microsoft is now providing unlimited free git hosting. First 5 users are free with every additional users are $6 per month!